When are the best times to drive Lyft or Uber in Boston? During the week, Monday, Thursdays, and Fridays tend to be busier than Tuesdays and Wednesdays. Expect a fair number of rides to Logan on Mondays and Fridays. While weekend nights are generally the biggest money makers, weekend mornings and early afternoons can also be very lucrative and are less of a hassle trafficwise. Pro Tip – If you’re going to start your driving day from a suburb in the morning, set your destination towards downtown or Logan to get you into the city. There are simply more ride requests coming from that area, so you want to get down there to maximize your profitability. The destination setting will only give you rides towards a particular destination. Uber allows you to use this setting twice a day, but Lyft allows six uses per day. If you haven’t signed up yet, the Lyft sign up bonus in Boston is currently $500. What are the best areas to drive Lyft or Uber in Boston? The best Boston rideshare hotspots are Fenway Park and the surrounding bar area, TD Garden and the surrounding area, South Station, Harvard Square, and around Fanueil Hall. Logan airport is also very busy, but if the staging area (where drivers wait for requests) is full, you may be better off immediately heading back to the city or into Cambridge, rather than spend 45 minutes to an hour waiting for a ride request. Hopefully, you won’t even have to go to the staging area to get a ride request after dropping off at Logan. This is because both Lyft and Uber may give you a return rider as soon as you dropoff your current passenger at the airport. This doesn’t always happen though. It depends how busy Logan is at the time. If you’re going to drive rideshare part time in Boston, it’s important to choose your hours carefully, and stick to a schedule. If you plan on driving 10-15 hours a week, try and schedule your driving hours during the best times to drive that I mentioned earlier. Doing so will likely result in 25-60% higher earnings than driving during off peak hours. That boost can mean the difference between bringing in $150 over 10 hours versus $250. The simple fact is that more people are taking rides at 6am on a Tuesday, than at 1pm. Higher demand tends to mean more rides, and higher fares. Try and plan your schedule accordingly. If you plan on driving full time for Lyft or Uber in Boston, do the following to increase your profitability. Some of these tactics may be helpful for part-time drivers as well. Make a schedule. Some drivers tend to drive more nights, some drive mornings. Other drivers only drive morning and evening rush hours plus the weekends. Some drivers start at 7am and drive for 12 hours 6 days a week. However, the drivers who choose and stick to a schedule tend to earn more per hour than drivers who don’t. Don’t drive around unnecessarily. Note locations of standing zones, and parking lots, as you drive around. Often, you’ll want to pull over and stop during the time between rides so you don’t waste gas. This becomes easier as you become familiar with the area. If you’re starting from the suburbs in the morning, try and get on the road between 6 and 7am, and consider using the destination setting to get near downtown, Cambridge or Brookline. Once you’re in those areas, you should start receiving requests pretty quickly. The destination setting may not always be necessary as there are a lot of people heading into the city from the suburbs on weekday mornings. Between rush hours, good places to find riders in Boston include areas around Harvard, M.I.T., Boston University, and Boston College. Mass General is also a good spot because hospital shifts aren’t 9-5. You’ll also want to stick around the hotels in touristy areas. There has never been a better time to start driving for Lyft or Uber in Boston. Earlier this year, Massachusetts instituted more stringent background checks for drivers. As a result, 8,000 Lyft and Uber drivers failed the new background checks and were removed from both platforms. Although the state loosened the background check restrictions in September, both Uber and Lyft have been still been scrambling to find new Boston area drivers. To accomplish this, they’ve been offering some of the highest driver sign up bonuses and guarantees in the country! The Lyft Sign Up Bonus in Boston is currently between $500 – $1025. The Boston Uber sign up bonus guarantees are also several hundred dollars to over $1,000. These bonuses won’t last forever though. Earlier this summer, Lyft actually had a $2,000 sign up bonus in Boston. Additionally, both companies often offer weekly incentives to new drivers. These incentives can add hundreds of dollars to your weekly pay. The reason Lyft had such a high signup bonus is that Lyft ridership has significantly increased in Boston in 2017, especially in areas like Medford, Cambridge and Brookline. Overall, Lyft gave more rides in the Boston area in the first six months of 2017 than they did in all of 2016! This has allowed Lyft to consistently cut into Uber’s market share throughout 2017. Overall, Uber is still busier in suburbs like Lexington, Winchester, and Waltham. But when it comes to downtown Boston, South Boston, and the rest of the city, both Uber and Lyft are pretty busy. However, in a few neighborhoods, Lyft has been busier than Uber since the Spring. Should I sign up to drive for Lyft or Uber in Boston? While you can make good money on both platforms, and Uber is still busier overall, Rideshare Central recommends signing up for Lyft first in Boston. Both platforms are busy in Boston, but Lyft ridership has pickup up a lot in the past year. Moreover, drivers tend to prefer driving for Lyft. Driver support is better and less impersonal. Moreover, although in app tipping is available on both platforms now, Lyft passengers tend to tip at a higher rate than Uber passengers. However, the main reason you should sign up for Lyft first is that their sign up bonus is currently better than Uber’s. In fact, Lyft is still offering a sign up bonus in Boston. Uber has switched over to a guarantee instead of bonus. What’s the difference between the Uber and Lyft sign up bonuses? The current Uber sign up guarantee works like this. Uber offers new drivers a guaranteed amount if they do a certain number of rides in a set amount of time (usually 30-60 days). For example, Uber will offer a Boston driver a $1025 guarantee if they give 120 rides in their first 45 days. If the driver earns less than $1025 from those 120 rides, Uber will make up the difference. If the driver earns more than $1025, they get nothing. In most cases, if a driver gives 120 Uber rides in Boston, they will hit that $1025 anyway. On the other hand, the Lyft sign up bonus is an actual bonus. Even better, new Lyft drivers start receiving their bonus as soon as they hit the road. This is how the Lyft driver sign up bonus works. 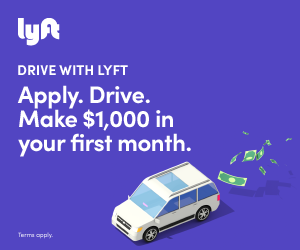 Lyft will offer a new driver in Boston a set bonus (usually $500-$1000) if they complete a certain number of rides in the first 30-60 days. For example, Lyft may offer a new Boston driver a $600 sign up bonus. The bonus will pay out an extra $4 per ride for their first 150 rides. The driver will have usually have 45-60 days to complete those rides. The bonus is on top of any driver earnings from the rides. As you can see, in Boston, it makes far more sense to sign up for Lyft first, because you’ll actually get a driver sign up bonus. Final Take – The Best Time To Start Rideshare Driving in Boston is now! Driving rideshare is generally really fun as a job. You meet a lot of interesting people, learn your way around your city, and get paid to do it. Even if you’ve lived in Boston your whole life, I guarantee you will discover more about the city in a couple of months driving for Lyft or Uber than you thought possible. Whether you want to drive full time or part time, there has never been a more lucrative time to start driving rideshare in Boston. Ridership is at record levels, and both Lyft and Uber are in need of drivers. Experienced full-time Lyft and Uber drivers in Boston can earn as much as $20-$25 per hour. If you’re just starting out and you’re full time, you’ll likely be making more in the $15-$20 an hour range. As you improve, that number will go up. If you plan on driving part-time during peak hours, you can probably make $20-$25 per hour. 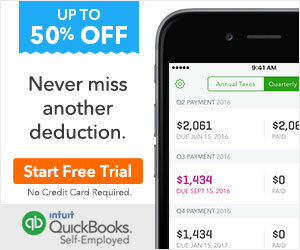 If that interests you, click below to see your Lyft sign up bonus, or your Uber guarantee. See Your Uber Sign Up Guarantee!